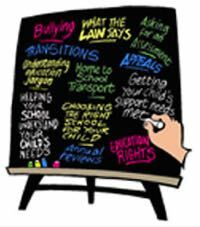 The School Exclusions Service offers advice and information to parents of autistic children and young people on all aspects of school exclusion in England. This includes advice on informal (illegal) exclusions; fixed period and permanent exclusions; how to challenge your child's exclusion and what you can do if you are concerned that your child is at risk of exclusion. Autistic children are particularly vulnerable to being excluded from school. Sometimes behaviour associated with this hidden disability can be confused with disobedience because of a lack of awareness of the condition by both pupils and adults in school. Sometimes a pupil with autism, trying to cope with the unstructured social aspects of school life, can feel overwhelmed and become anxious, stressed and aggressive, resulting in a meltdown. Headteachers may feel that exclusion is the only solution in order to maintain the safety and well-being of other pupils. Indeed it may be the case that a mainstream school is not the most appropriate setting for a particular child. However, disruptive behaviour can be an indication of unmet needs and schools have a duty to make reasonable adjustments to policies and practices to ensure that autistic pupils also feel safe, confident and able to experience success. Call the Schools Exclusion Service on 0808 800 4002 or leave a message on the answering service. It would be helpful if you could leave a brief summary of your enquiry, together with your phone number and email address, so that an Exclusions Adviser can arrange to call you back to discuss your query in detail. You can find more details about the NAS School Exclusions Service (England) by visiting https://www.autism.org.uk/services/helplines/school-exclusions.aspx. Created by MoneySuperMarket in association with the National Autistic Society, this Money Managing module is free and aimed at anyone on the autism spectrum who is of an age where they are ready to start learning about managing cash, banking, savings, and debt. The Money Managing module covers a wide range of money-related topics and can be completed in one visit or accessed section by section over as many visits as you need. It uses videos, text, short quizzes, and interactive cash machines and password generators, as well as offering information on managing your accounts, reasonable expenditure, debt management, and signposts to further information. Please visit NAS Managing Money for more detailed information about this useful online financial tool.For more general advice about managing your money, please visit https://www.autism.org.uk/about/adult-life/managing-money.aspx. There are around 700,000 autistic people in the UK. That’s more than 1 in 100 people. In a school, it is likely that there will already be one or more autistic children. Educational professionals may be teaching or supporting a child or young person who they feel may be on the autism spectrum. The diagnosis process may have just started or the diagnosis may not yet be confirmed, but they want to increase their understanding of autism and appropriate interventions to use with that child or young person. To support these professionals, this Teachers webpage has been produced by the NAS which will be useful for any member of staff working in an education setting. This pack can be of help to any member of staff working in an education setting. The NAS has included information about autism, how it may affect children and young people in education settings, information on strategies, interventions and useful resources from the NAS and other organisations. The NAS hopes their pack will give those members of staff greater confidence in working with pupils who are on the autism spectrum.